Many of the walls within the Orchid Center are covered with cedar trellis. The trellis was designed and built by one of my all-time favorite volunteers, a talented Brazilian man named Ricardo, as yet another venue for displaying orchids. During Orchid Daze our usual treatment of the trellis is to cover every square foot in Phalaenopsis orchids in order to create our Phal Blast. The Phal Blast has become an enormously popular backdrop for family photos. For their part, the Phals don't particularly like being stacked vertically, one above the other. This sort of treatment can lead to crown rot in the plants in the lowermost rows that receive excessive run off when we water the plants above. 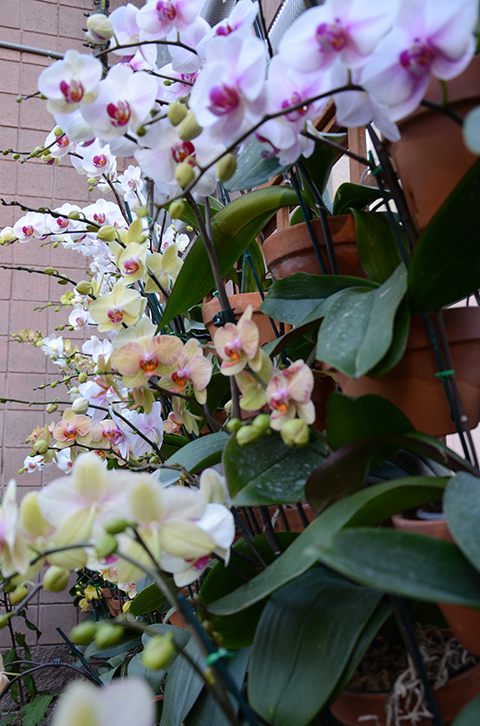 Vertical stacking is not something we would ever do to our collection Phalaenopsis. The hybrids will tolerate it for ten weeks, though we have probably shortened their lives somewhat. 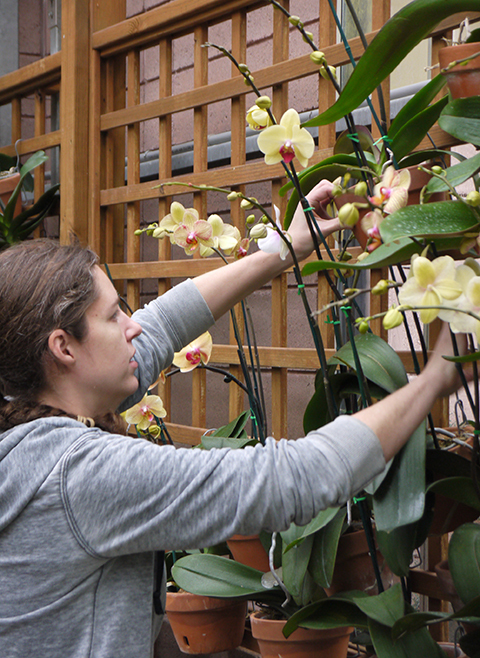 Many display techniques can be harmful to orchids, the epiphytes in particular. In short: don't try this at home! 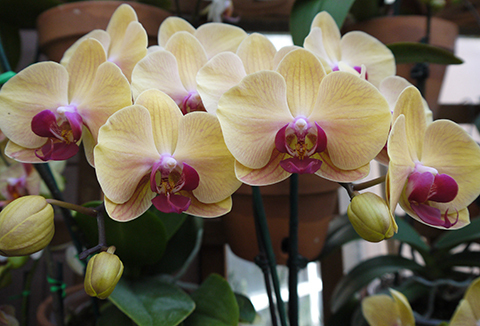 This weekend is your last chance to see Orchid Daze 2012, Hanging Gardens. Don't miss it!